Eighty years ago, Neville Chamberlain became British prime minister. He is best known for the appeasement policy he pursued towards Nazi Germany. Had he resigned or died before he assumed the post of prime minister, he would have been considerably less known, but significantly better remembered. After all, Neville Chamberlain replaced Stanley Baldwin in 10 Downing Street after having had a successful political career, serving in his last post as Chancellor of the Exchequer. He was widely-respected, though not particularly liked by his colleagues in Parliament. As the letters he wrote to his two sisters clearly testify, he was vain, egocentric and could be scathing, if not altogether denigrating, in his criticisms of his political opponents. Chamberlain knew well what he wanted and how to go about in achieving it. 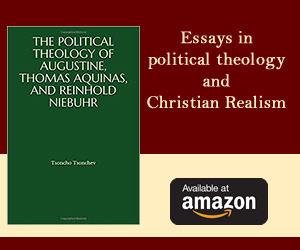 He delineated in his mind a policy aimed at effecting a lasting resolution of the conflict with the dictators, particularly with Nazi Germany. Up until 1937, the British government had pursued a passive policy of appeasement, accepting, albeit reluctantly, the fait accompli of Nazi foreign and defence policies. 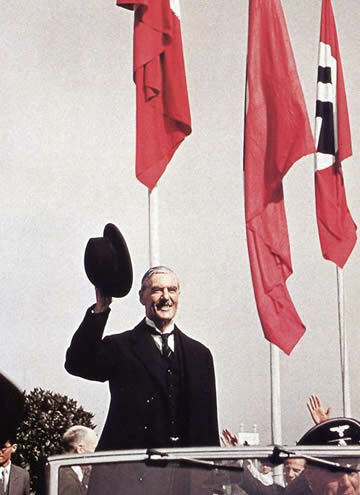 From 1937, Britain was to adopt an active policy of appeasement aimed at resolving the outstanding differences by a pro-active diplomacy, which would be carried out by Chamberlain himself. Chamberlain truly believed that it would be possible to reach a settlement with Nazi Germany. To be sure, his views on Hitler altered with events. To one of his sisters he would write that he thought the peace of the world depended on one man and that he was half-mad; and yet, following his first meeting with Hitler, he would write that he thought the German leader was a man of his word, and that he could be trusted. Certainly, Hitler could be courteous when he wanted, but his diplomacy was aggressive. He was more often than not a bully, threatening and intimidating his guest in order to obtain his desired objective. Hitler would commit himself to something, only to change his mind and demand more from the other side. To calm international opposition, he would declare that his demand was his last one, only to be followed by a further demand later on. It should be stressed: Hitler did not negotiate with Chamberlain. Rather than an exercise in traditional diplomacy, the three meetings they had to solve the Sudetenland Crisis of September 1938 seemed to be taken from scenes of the Godfather. Hitler dictated terms and warned that if these were not accepted, he would deploy force to obtain them. To be sure, Hitler could be flexible: rather than send the German army to the Sudetenland on a certain date, for example, he would consent to do so a few days later. When faced with a gun, this kind of concession can be perceived to be a considerable step forward. The problem was not that Chamberlain was prepared to go along with this charade, but that he did so willingly, believing he had achieved a major breakthrough, or, as he said, "Peace in our time." Chamberlain did not pursue his appeasement policy reluctantly, believing he had to play for time until Britain was better prepared. To be sure, Chamberlain had been warned by his military and intelligence advisers that Britain could not fight a war on more than one front. Further, the Commonwealth was apparently reluctant to go to war over Czechoslovakia. Considering its imperial commitments, Britain might be overextended. Also, the French and Soviet army were not thought to be as strong as they appeared to be; and Britain could not count on the United States due to its isolationist foreign policy. The aforementioned conclusions notwithstanding, British assessments of German power were exaggerated. Germany was thought to be more powerful than it actually was. Also, in shaping policy, Britain did not fully take into consideration that the Czechoslovakian army was a force to be reckoned with. A combination of British, French and Czechoslovakian power might have constituted a serious challenge to the German army. The Soviet Union, for its part, had an accord with Czechoslovakia that it would come to its defence if attacked, but only on condition that France were to implement its own defence pact with Czechoslovakia and come to its aid. Chamberlain thought he was dealing with a difficult diplomatic partner wishing to effect a revision of the Versailles Settlement, not with a revolutionary leader of a movement bent on the destruction of the existing international order. In this respect, the rhetoric employed by Hitler and his government only helped to sow confusion in the democratic countries, for he spoke of human rights and national self-determination. The argument that Chamberlain pursued a policy of appeasement in order to postpone war, rather than achieve a durable peace, does not tally with the evidence available. After all, it was Chamberlain himself who spoke about having achieved "Peace in our time" following the Munich Agreement of September 1938. Chamberlain's right-hand man, Sir Horace Wilson, said that the policy of appeasement "was never designed just to postpone war, or enable us to enter war more united. The aim of our appeasement was to avoid war altogether." Following Germany's invasion of Poland in September, 1939, Chamberlain said to a packed House of Commons that "Everything that I have worked for, everything that I have hoped for, everything that I have believed in during my public life has crashed into ruins." That was hardly the statement of a man whose policy was meant only to postpone war. Chamberlain's demeanour and rhetoric from 1937 to 1939 reflected a sincere desire to reach a long-lasting settlement with Nazi Germany. There might have been good reasons to try and postpone war, but that by itself is no evidence that he acted on that assumption. Yoav J. Tenembaum is a lecturer in the Diplomacy Studies Program, Political Science Department, at Tel Aviv University. He obtained his doctorate degree in Modern History from Oxford University and his master’s degree in International Relations from Cambridge University. He was awarded his BA in History at Tel Aviv University.